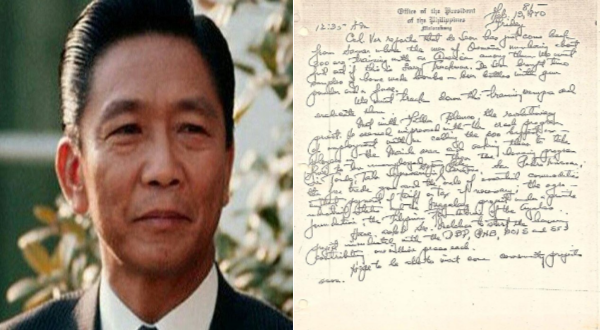 A Facebook Netizen named Yesu Ben posted his insight in the involvement of the United States on the impeachment of former president Ferdinand Marcos. The aforementioned meddler of Philippine politics planned crafty ways of eliminating Marcos at that time for he could not be controlled as a puppet, an enigma towards the US as Yesu Ben would consider. And to impress us all, the US didn’t skimp down on their tricks, they even tried using mata hari just to gather information on the former president, Yesu Ben stated in his post. And yet it was Marcos book that helped the US decide whether to pull their “support” for the former president or not. And sadly the Executive Secretary of Defense ended up betraying his own country for Uncle Sam. The devil who took advantage of the Defense Secretary Zoe Vidal’s ambitions. Yesu Ben ended his post stating that it was a stroke of luck that Marcos kept a diary for himself in which “he tagged his Executive Secretary quite often”.